When it comes to romantic getaways, nothing beats a room with an outdoor jacuzzi. All Hilltop Rooms with Private Jacuzzi offer private terraces or large yards and feature amazing views of Mykonos town and Aegean Sea. The spacious and luxurious Jacuzzi rooms, are recently updated in order to provide Mykonian essence and contemporary feeling. 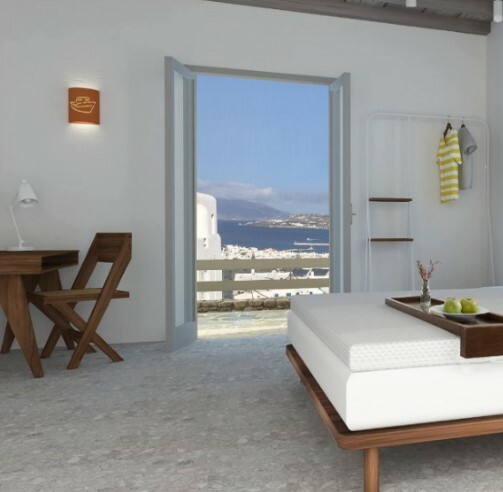 Live an authentic Mykonian experience, be part of the Mykonos town life whilst cool off on your private jacuzzi overlooking the famous Mykonos windmills.